A winning streak that saw women across the country take record numbers of seats in statehouses this year extends to Tennessee and Hamilton County. More than 2,000 women will serve in state legislatures when those chambers convene for their upcoming sessions. That represents roughly a quarter of all state lawmakers nationwide, and women may be a majority in two major legislative bodies — the Colorado House and the Nevada Assembly. 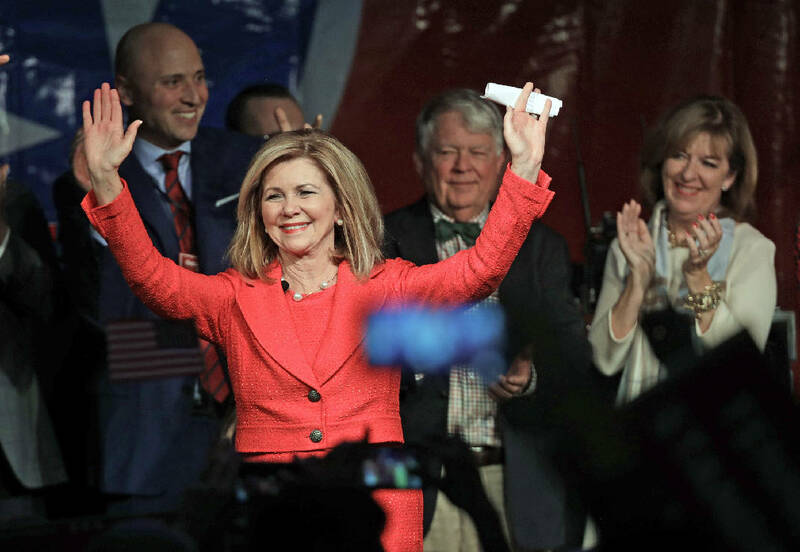 Though the number of women elected in Tennessee did not rise dramatically, the state did elect its first female U.S. senator, Marsha Blackburn, and Hamilton County added another woman to its state House delegation — three of the five representatives are women. "It's exciting that they are women; the more important point is that they are very qualified women," said state Rep. Patsy Hazlewood, R-Signal Mountain, who won her third term in the Nov. 6 election. "The thing to celebrate is the fact that are willing to put themselves out their for public service." Fellow Republicans Esther Helton, of District 30, and Robin Smith, of District 26, will be joining Hazlewood in the House. Helton handily defeated her Democratic male opponent. Smith's Democratic opponent was also a woman. "As a 55-year-old female who owns my own small business, who has raised two small children and enjoyed seeing them grow up, there are things I know that can be done and not necessarily be done better, but I have some things to offer," Smith said of her motivation to run. "I think women do bring a unique perspective." Marsha Yessick, chairwoman of the Hamilton County Republican Party, said women are increasingly engaged on issues that concern them. "I think women are becoming more aware of what's happening in the nation and they are becoming more informed," she said. "Women are in the workforce, women are out and about, they are not complacent, they want their issues addressed. "I'm really proud of the fact that men are finally realizing that this is not just a man's world, this is also a female's world, [and] I want the most capable person to win the election. It all boils down to the candidate." But some say Tennessee women's winning streak counters that perception. The number of women serving on both sides in Nashville, "flies in the face of that narrative," said state GOP Chairman Scott Golden. "We've had a 30-year history of women involved in the Republican Party in Tennessee," he said. "Republicans are winning this state, and it's great to have women, even better to have exceptionally strong women, in office." Smith, who is a former state and Hamilton County Republican Party chairwoman, said the Democratic resistance narrative caught fire because of how Democrats mobilized voters and candidates. With issues of such importance to women right now, she said, "it's easy to harness that anger and direct it toward government and public officials." "To their credit, Democrats have done a better job of mobilizing and using that anger toward their base, but in reality, when solving a problem, you don't do it best when you're angry," Smith said. She also warned against generalities or measuring candidates by gender or "some sort of identifying factor." "There's a danger in that, because then we're not viewing everyone as equals," she said. "One thing we have to be very careful of in this day of identify politics is it limits not only the role of leadership, it pigeonholes your constituents." A woman who is among the first in local office, former Hamilton County Commissioner Charlotte Vandergriff, said she was happy to see more women in office for the sake of their constituents. "There should be women represented in all stages of government — city, county, state. Women just seem to have a different perspective on some things," Vandergriff said. "Women constituents may feel more comfortable talking with women in office than they feel more comfortable talking with men." Vandergriff took over the District 3 seat after her husband, Buster Vandergriff, died in 1996. She then was elected twice and served until 2006, when she was replaced by Jim Coppinger. Vandergriff was first Republican female chair of the county commission. It took until this year for another woman, Republican Sabrena Smedley, to hold the chairmanship again. Vandergriff also said she did not feel women were more drawn to one party over another. "It is important and I do think that women are interested on both sides," Vandergriff said. "If any person has an interest in serving the public, they should try for running for office."